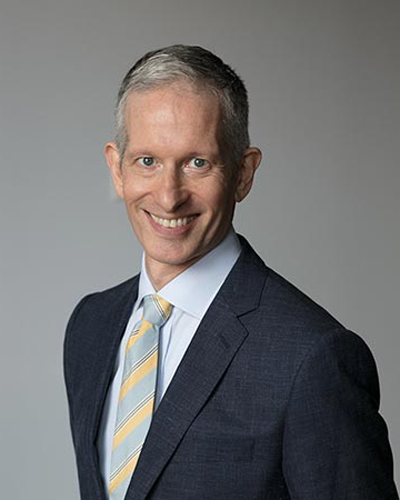 James Blumer is sought-after as a clinician on the benefits of Alexander Technique and Body Mapping in performance and pedagogy. A certified teacher of the Alexander Technique, Licensed Andover Educator, and freelance violinist based in the New York metropolitan area, he offers private lessons, workshops, and masterclasses on how understanding the body’s natural design can improve movement, enhance performance, and prevent injury. James serves on the faculties of the Elizabeth Faidley Studio (violin) and the Manhattan School of Music Precollege Division. He has presented master classes and workshops at the Manhattan School of Music, New York University, Mannes School of Music, Ithaca College, New Jersey City University, Luzerne Music Center, Biennial Andover Educators Conference, and the Suzuki Association of the Americas National Conference. James studied violin performance at Montclair State University, the Universität für Musik und darstellende Kunst in Graz, Austria, and Ithaca College. While in Ithaca, he completed long-term Suzuki teacher training, and licensed as an Andover Educator in 2014. James completed the teacher certification program at the American Center for the Alexander Technique in 2018. Gabriella Minnes Brandes, Ph.D. has been teaching the Alexander Technique for over 30 years and is currently teaching the Technique both in the Theatre Department at Capilano University and at the Alexander Technique Centre in Vancouver. Gaby also teaches in the Young Artists Program at the Vancouver Opera, Pacific Opera in Victoria and at the Pender Island Flute Retreat. Gaby works extensively in collaboration with musicians, voice, movement and acting instructors. Much of Gaby's current work and research focuses on exploring the connections between Alexander Technique and creativity as it pertains to performers. Informed by her Ph.D. and research in education, she is also exploring the connections between current educational research and Alexander teacher training. Jennifer Condie began formal piano studies at the age of eight. She completed her ARCT Performer’s diploma before proceeding to UBC, where she studied with Robert Rogers, and graduated with a Bachelor of Music. Post graduation, she pursued her interest in pedagogy, studying with Winifred Scott Wood. From 1991-2009 she regularly performed as part of the Hollins/Condie piano duo. She is a member of the Bruce Vogt masterclass, which provides ongoing opportunities for performance and study, and regularly consults Jane Hayes for private lessons. She has served in many different capacities on the executive of the South Fraser Branch of the BC Registered Music Teachers, from Festival Treasurer, to President to Professional Development Convener. Since September 2010, she has been exploring the Alexander Technique through private lessons with Gabriella Minnes Brandes, and has been excited to examine her teaching practice through an Alexander lens. Jennifer enjoys guiding students on their journey from beginner to accomplished musician. Shawn Copeland, DMA, began studying the Alexander Technique in 1997 and qualified as a teacher in 2006 after a five-year apprenticeship with Marsha Paludan. He is the Assistant Professor of Clarinet and Alexander Technique at the University of Idaho. His teaching is focused on the direct application of the Alexander Technique to performing artists. Shawn’s study with colleague Rajal Cohen on the efficacy of Alexander Technique group classes for neck pain was recently published in Complementary Therapies in Medicine. He has taught Alexander Technique at the Eastern Music Festival (Greensboro, NC) since 2007 and at the Summer Clarinet Clinic at Stetson University (Florida) since 2010. Shawn maintains a vigorous schedule of performing, teaching, and presenting at universities and conferences throughout the US and abroad. He has been studying Nervous System Energy Healing since 2010 and explores the many intersections of energy work and Alexander Technique in his teaching and research. Shawn certified through Alexander Technique International and is a licensed Andover Educator. Robyn Dixon Costa teaches Alexander Technique Workshops for Musicians, helping students learn to free their sound, play with ease and be present in their performances. She is currently teaching Alexander Technique at the Penn State University School of Music. She earned her teaching certificate from the Philadelphia School of the Alexander Technique and is a teaching member of Alexander Technique International. In addition, she maintains a private studio at her home in Boalsburg, PA.
Robyn has presented Alexander Technique Workshops for Musicians at the University of Dayton, University of Akron, Wright State University, Texas A & M University – Kingsville, the Pennsylvania Collegiate Music Educators’ Association, the International Horn Association’s North East Horn Workshop, and Penn State University. In addition to her Alexander Technique teaching, Robyn plays oboe and English horn with the Dayton Philharmonic Orchestra. She is also an associate musician with the Columbus Symphony Orchestra, principal oboe of the Pennsylvania Centre Orchestra and a member of the Penn’s Woods Music Festival Orchestra. You can find her on the web at www.rdcstudio.net. Jay Foote is an AMSAT-certified Alexander Technique Teacher teaching in New York City, where he is an assistant on the Balance Arts Center’s Teacher Training Course. He is also a Member-at-Large on the Board of Directors for AmSAT. When not teaching, Foote is an in-demand producer and bassist, known for his vocal harmonies. He plays upright, electric and synth bass on Broadway for Tony award-winning “Hamilton”, "Dear Evan Hansen", "The Band's Visit" and on Sara Bareilles’s Tony-nominated “Waitress”. Last year, he produced Austin Plaine’s second album “Stratford”, to be released in fall 2018. His acoustic bass playing can be heard supporting Jaymay in the feature films “Happythankyoumoreplease”, “A Good Marriage” and behind Ambrosia Parsley in the Grammy nominated film “Silver Linings Playbook.” He is a voting member of NARAS and a charter member of the Brooklyn chapter of the Jim Keltner Fan Club. Jessica Goldring is a vocalist and Alexander Technique teacher. She has performed with the Ohio Light Opera, Kansas City Lyric Opera, the Caramoor Festival, the Festival d’Aix-en-Provence, the Franz Schubert Institut, Eugene Opera, Liederkranz Opera Theater, Les Rencontres Musicales in Enghien, Belgium and The New York Repertory Theater. In 2009, together with filmmaker Noe Kidder and actress Marianna Vogt, Jessica founded Exilkabarett, a company devoted to the art of cabaret and song. She has performed with this company at several NYC venues including Dixon Place, the Brecht Forum, The Tank, Millennium Film Workshop, Mono No Aware, The Drilling Company, The Anyway Café and Petite Versailles. As a voice teacher, Jessica has taught young singers at Kansas City Young Audiences in Kansas City, Missouri and served as a teaching fellow at the Conservatory of Music at the University of Oregon in Eugene, Oregon. She currently maintains a private studio in New York City. Jessica completed her Alexander Technique Teacher Training program at the Balance Arts Center in New York City in the Spring of 2018. She was invited to assist as in an Alexander Technique teacher in programs for opera singers at the Singing Course Bevern, in Antwerp and at the Balance Arts Center in New York City. Erin Huang is an Alexander Technique International certified teacher. She has been working with musicians on injury prevention and performance technique using the Alexander Technique since 2016. She teaches privately in Southern California. She has also taught workshops for the National Symphony Orchestra in Taipei, Taiwan and has worked with the horn students at University of Southern California. As a professional hornist, Erin has played with numerous orchestras such as Palm Beach Symphony Orchestra, Symphony of the Americas, and Hingham Symphony Orchestra. Erin is also an accomplished pianist. She won many competitions in Vancouver, B.C., Canada prior to moving to the United States to pursue her study in horn performance at Boston University. Dr. Heidi Brende Leathwood has worked with hundreds of musicians of all levels. She has twice presented classes on performance at the national AmSAT ACGM, taught workshops at the International Horn Symposium and the International ClarinetFest, and was a panelist on Enlightened Keyboard Technique for the 21stCenturyat the Music Teachers National Association national convention. 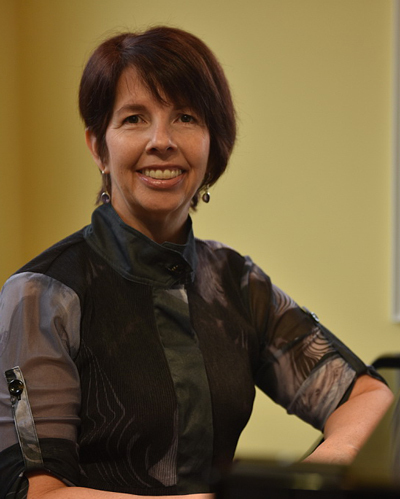 Dr. Leathwood currently teaches both piano and Alexander Technique at the University of Denver’s Lamont School of Music, where she was formerly Chair of Keyboard. She is Director of Training at Alexander Technique Denver, a teacher-training course. She maintains a private practice, and travels to perform and present workshops. For over three decades, Dr. Leathwood has been working with the principles of the Technique in her own playing. She has performed with members of the Chicago Symphony, the Cleveland Orchestra, the New York Philharmonic, and the Colorado Symphony; appeared in many areas of the U.S., playing concertos as well as solo and chamber recitals; and has performed in the international Clarinetfest in Italy, Spain, and Belgium. Dr. Leathwood has performed Colorado, U.S. and world premieres of works by many composers, including Gary C. White, Mark Robson, Christopher Brennan, Gilbert Biberian, Stephen Goss, Ricardo Iznaola, Rob Keeley, David Maslanka and Pulitzer prize-winning American composer George Walker (Viola Sonata, premiere recording, 2009). Audrey Luna is grateful to have a career singing, teaching voice and Alexander Technique. She has been on faculty at Miami University since 1998, has taught at SongFest, Salzburg Chamber Music Festival, The Grandin Festival, The Schmidt Institute, Savannah Choral/Vocal Institute and given masterclasses across the US, Canada and Europe. She has mentored her students to win competitions and hold young artist positions such as: The Metropolitan Opera National Council Awards, New York Oratorio Society, NATSAA Competitions, Santa Fe Opera, Glimmerglass Opera, Ravinia Festival, Chanticleer, as well as singing in opera houses nationally and internationally. Since her Amsat certification in 2013, she has been teaching AT workshops, classes and private lessons largely focusing on singing and vocal function. Ms. Luna has performed at international festivals, concert halls, and opera houses on four continents. She began singing dozens of opera roles as a fest soloist in Bremen, Germany and as a guest throughout Germany. Orpheus magazine described her, “musically and theatrically first class...with technical sovereignty, she laid before us so much warmth, expression, and sensitivity that it was pure joy.” Ms. Luna can be heard on the Bonneville Classics, Oehms Classics, and arsmoderna labels. Katherine Palumbo is a pianist, vocalist and certified Alexander Technique Instructor. She received her teaching certificate from the Philadelphia School of the Alexander Technique in 2015 and is a teaching member of Alexander Technique International. Palumbo earned her degree in piano performance from Bucknell University. Katherine is passionate about helping performers feel more at ease, confident and connected with themselves both on and off stage. She has given workshops for musicians at Knox College, Bucknell University, American University and currently teaches the Alexander Technique at the West Virginia University School of Music. Palumbo also teaches Alexander Technique to massage therapy students at the Pittsburgh School For Massage Therapy and maintains a private studio of piano and Alexander Technique students from her home in Pittsburgh, PA. As a musician, Katherine has performed as a soloist and chamber musician throughout the U.S. She explores her interest for contemporary classical chamber music through two ensembles that she has co-founded: The Trillium Ensemble and Khasma Piano Duo. Albums with these ensembles, Switchback, Time Seems to Pass (Khasma) and Silent Spring (Trillium) are available on CD Baby, Amazon and iTunes. Tim Pyper studied the Alexander Technique with Ann Rodiger and is a 2018 graduate of the Balance Arts Center. A professional classical musician, he has won critical acclaim for his work as an organist and choral conductor. He currently directs the music program at Church of the Holy Apostles in Manhattan. His extensive studies with Barbara Lister-Sink, in conjunction with the Alexander Technique, form the basis of his approach to keyboard instruments. He holds the Certificate in Injury-Preventive Keyboard Technique from Salem College as well as graduate degrees from the Eastman School of Music and Cornell University. Ann Rodiger is the founder and director of the Balance Arts Center and the Balance Arts Center Teacher Training Course. She has been teaching the Alexander Technique and movement for over 30 years in academic and private settings. She is skilled in Labanotation, Laban Movement Analysis, Bartenieff Fundamentals, Yoga, meditation, and various dance techniques. She maintains private practices in New York City, Berlin and Antwerp. She is the creator and producer of the Freedom to Move, Freedom to Play and co-creator of the Freedom to Act conferences. She has recently published a book, "How To Sit: Your Body at Work". Ayu Wang is the first Alexander Technique teacher in China. She is an ATI and AmSAT Certified teacher and also holds a Master of Music degree in Cello Performance from Manhattan School of Music. She teaches Alexander Technique in the Bachelor and Master program at the Shanghai Conservatory of Music as well as at the Shanghai Orchestra Academy and at the Balance Arts Center in New York City. Ayu has helped hundreds of students improve their musical performance and the use of their bodies.